Announcing the Audition of Miss Arunachal of 10th session, Bengia Nachung Assistant Secretary of Miss Arunachal 2017, said that the events is creating an instituted and a tradition to launch young women into life and make them strong and independent, promoting self esteem and public speaking abilities of the contest , personal empowerment and individual development and to give a platform to young female enthusiast who interested in field of fashion etc. And this year a kept special entry to mega Audition from the youths of Tagin tribe, Lisu Tribe and Purohik tribe of state, who is interested in fashion and qualified in the category of Miss Arunachal. To promote and want to give special platform to the this small tribes of the state. A committee will be constitute to selects youth as per category from the this tribes Nachung added. 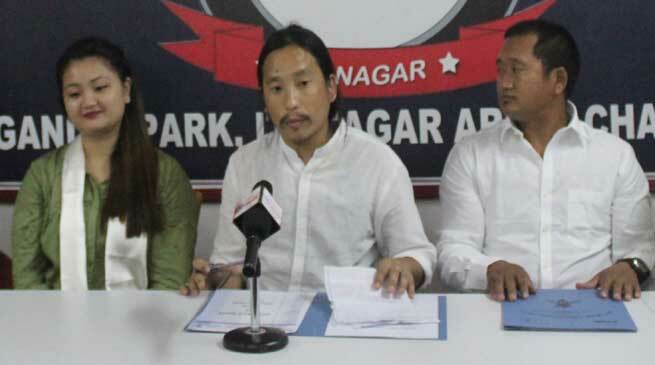 The mega Audition will be held in Itanagar on 15 October next. To qualified candidate must be 18+ years old, class 12th passed and minimum 5.2 fit heights. Winner will give contract for one year and it will help to entry in Famina Miss India and in various regional and national level events. Organising Secretary Kipa Niba said that as per schedule there shall be five round of different competition and 10 contestants shall be selected for final round from all the contestants.